Killers are made, not born, says Ian Brady in this reissue of his extremely unsettling yet philosophical analysis of culture and politics. From Feral House comes a reissue of Ian Brady’s explosive expose of serial killers and the reasoning they may employ, delivered amongst a whorl of interpretations and explanations from Colin Wilson and Peter Sotos. The Gates of Janus is a disturbingly self-aware and provocative addition to the true crime canon. The body of Brady’s own work contains a pseudo-philosophical exploration of what “crime” does and doesn’t mean. Here, Brady lays out his theories of moral relativism, all of which take for granted an individual’s ability to reject the dominant standards of society in favor of self-interests, no matter how depraved. In these constructions, people either follow blindly, follow with intention, or become leaders themselves—and the leaders often have blood on their hands. Nixon has more blood on his than Manson, Brady reasons: in the scheme of things, whom should people revile more? Once Brady has argued that depravity is relative, he’s able to enter into discussions of fellow serial killers, dissections that allow for the possibility that the figures who plague society must fall victim to ethical hyperbole. Bundy becomes a tragic figure. Richard Ramirez had his reasons. Panzram’s crimes were a logical result of lifelong social alienation and abuse at the hands of cultural authority figures. We create killers by encouraging inequity, he suggests, and the executioners we have formed march toward us daily. Heady diction and careful research imbue the work with a sense of authority, though Brady refrains from amplifying his credentials by appealing to his own crimes. Readers hoping for remorse will come away disappointed: Brady expresses none. Those who kill are held up as truer articulations of human beings than those who are killed, and those who find them out are said to take life from those discoveries. All people become either voyeurs, perpetrators, or pawns. Wilson does for Brady what Brady has done for killers like Bundy and Bianchi, dissecting his youth in search of the root causes of his violence. And Sotos appends Brady’s intentionally restrained work with a brutal, tumultuous, lengthy afterword. 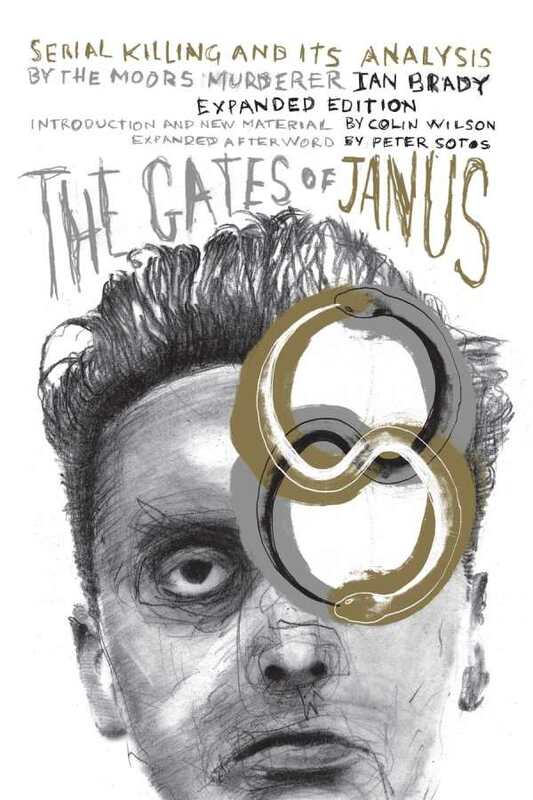 The Gates of Janus is shocking and upsetting work.